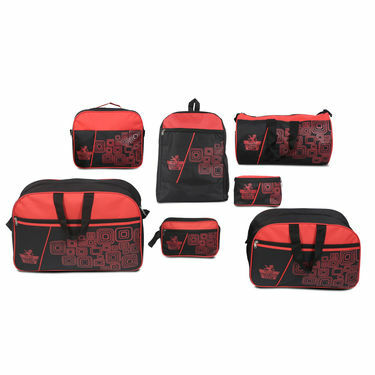 Keep your belongings safer than ever while you are on the go with Scottish Club Set of 7 Printed Bags. 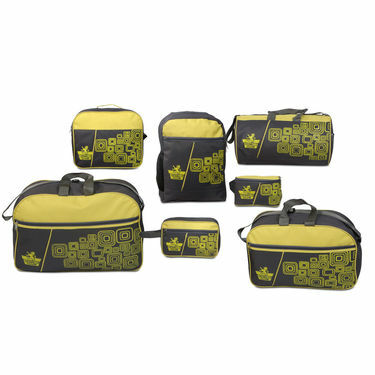 Made from nylon & polyester fabric, they are durable for tough use and lightweight to carry them easily anywhere. Each bag in the combo is spacious and water-resistant, making them an ideal for a weekend getaway. Planning to replace or upgrade your current travel suitcase? We have got a recommendation for you. 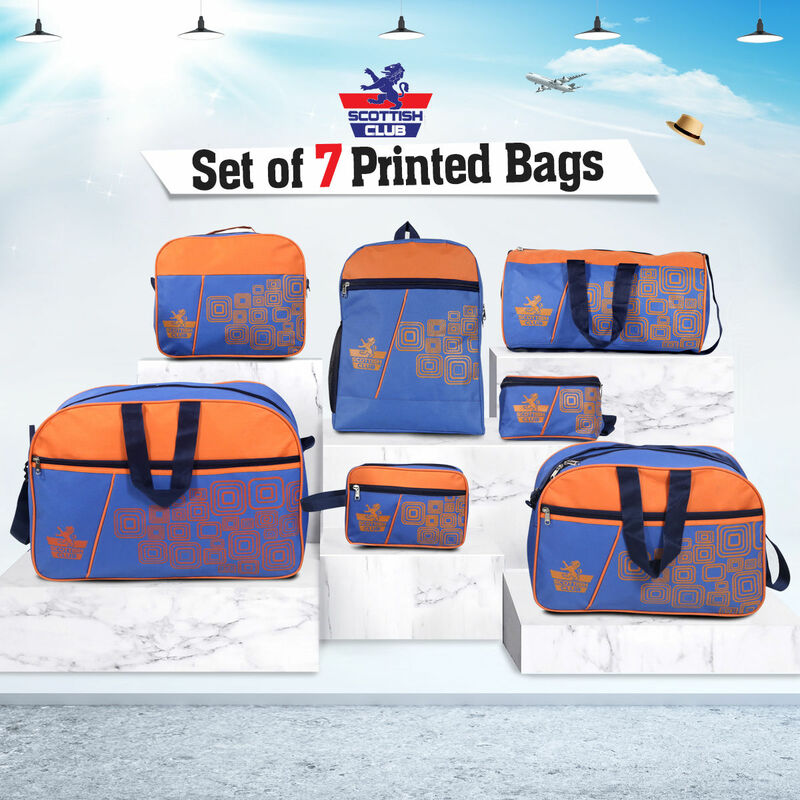 Whether you are looking for large travel bag, backpack, duffle bag, gym bag, utility bag and other accessories bag, then you must definitely consider Scottish Club Set of 7 Printed Bags. We reviewed this product with our expertise keeping the need of our buyers in mind. Body Material: Made from Nylon & Polyester, these bags are lightweight and durable. After several tests on bags, we found that they are stain resistant, water resistant and abrasion resistant. So whether you are on leisure trip or business trip or any adventurous trip, the combo is perfect solution to pick. Reviewer: If you are heading away for a weekend mini-break or embarking on a round-the-world tour, we would highly recommend Scottish Club Set of 7 Printed Bags. It's a must buy for its comprehensive collection, quality and price. Very handy and easy to maintain. Thanks Naaptol for this wonderful combo. I am glad that I bought this. 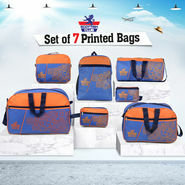 Scottish Club Set of 7 Printed Ba..VSScottish Club 7 Pcs Complete Trav.. Scottish Club Set of 7 Printed Ba.. VS Scottish Club 7 Pcs Complete Trav..
Scottish Club Set of 7 Printed Ba..VSHappy Journey - Pack of 7 Travel .. Scottish Club Set of 7 Printed Ba.. VS Happy Journey - Pack of 7 Travel ..
Scottish Club Set of 7 Printed Ba..VSScottish Club 7 Stripes Travel Ba.. Scottish Club Set of 7 Printed Ba.. VS Scottish Club 7 Stripes Travel Ba..